Valet parking is available Tuesday - Saturday from 5pm- 10pm. Street parking is available North of Alameda on Downing St.
Cafe Marmotte proudly serves contemporary French cuisine in an intimate location close to Washington Park in Denver. 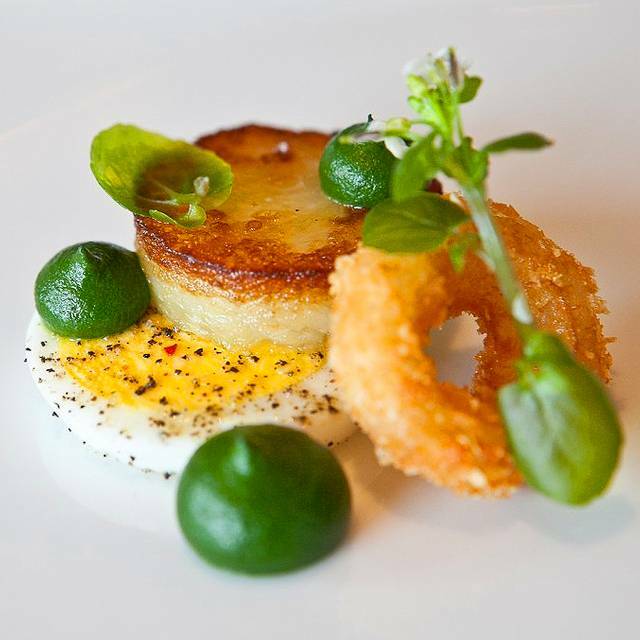 Cafe Marmotte prepares the freshest of ingredients with the classic techniques to create our signature cuisine. Cafe Marmotte features an extensive French and American wine list, craft cocktails and friendly staff. Now Serving Brunch on weekends. We celebrated a birthday for 2 here and absolutely loved everything about our evening. We had a "glow" from the experience and even several days later. We will definitely return. We recommend it to everyone! 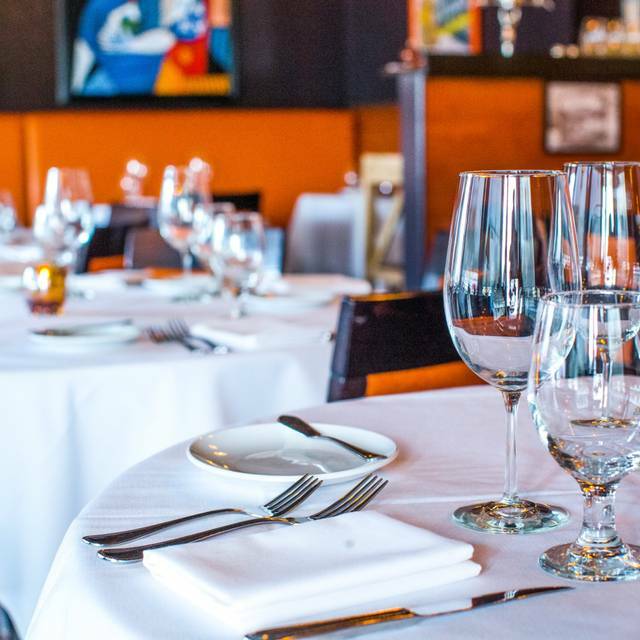 A slice of Paris bistro in Denver without jet lag and airfare! Cafe Marmotte never disappoints. 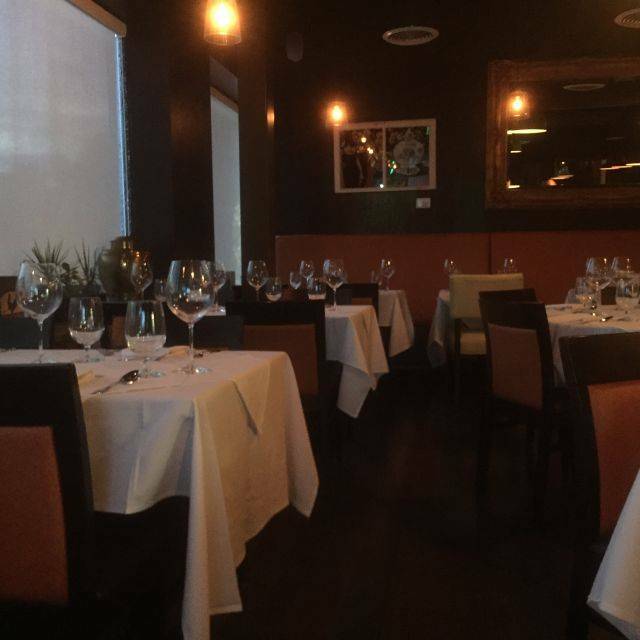 The food is incredible, service impeccable, and overall atmosphere lovely. If you haven't been, go. My opinion: best high end restaurant in Colorado. Food is outstanding - truly great flavors, ample portions, and beautiful presentation. Excellent wine list from reasonable to expensive. And the service is top notch - attentive and discreet at the same time. Our party of four all said the same: what a find! This is the new 'go to' place. 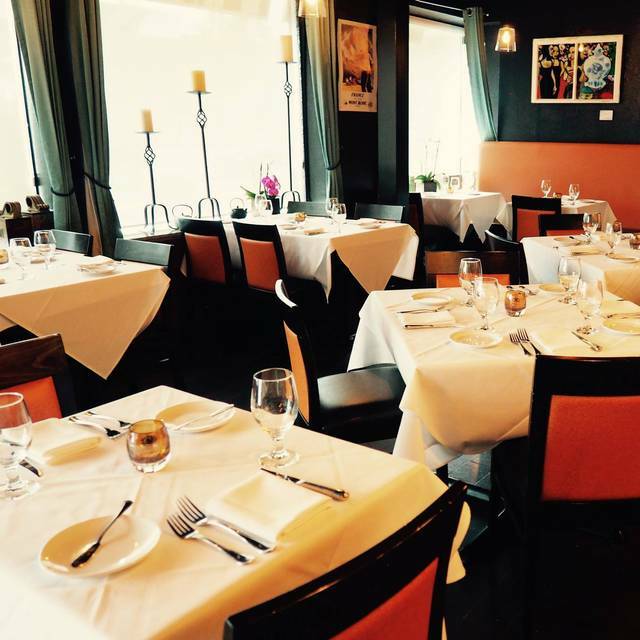 Best French restaurant in Denver, great food and ambiance. We all loved the food, service and location....plan to come back soon! Delicious Food in a cozy atmosphere. We go on the early side as the space is small and can be a tad noisy when full. But the food and service are absolutely worth in in our opinion! We had an excellent dinner at Cafe Marmotte last night. This was my fourth time visiting and was by far my favorite. The food was wonderful - I had the tuna tartare appetizer and the salmon entre. One of the best salmon dishes I have had (and I eat a lot of salmon). My friend had the french onion soup and the scallops. She loved both. In addition, our server suggested we try the flight of wines they were offering. We had 4 good size pours and enjoyed every one. The server was friendly, professional, attentive. All in all, it was a perfect evening. Wonderful food and service. I love the quaint feel. We will definitely go again next time we are in Denver. Very nice little place! Jordan was great, made us feel welcomed, very professional,provided us with good suggestions and answered our questions. Service was excellent, Food was Outstanding Ahi Tuna Tartare, Dover sole, the land special and if course dessert was great! Our second time there, and we will be back. The food is delicious and we thoroughly enjoyed the experience! 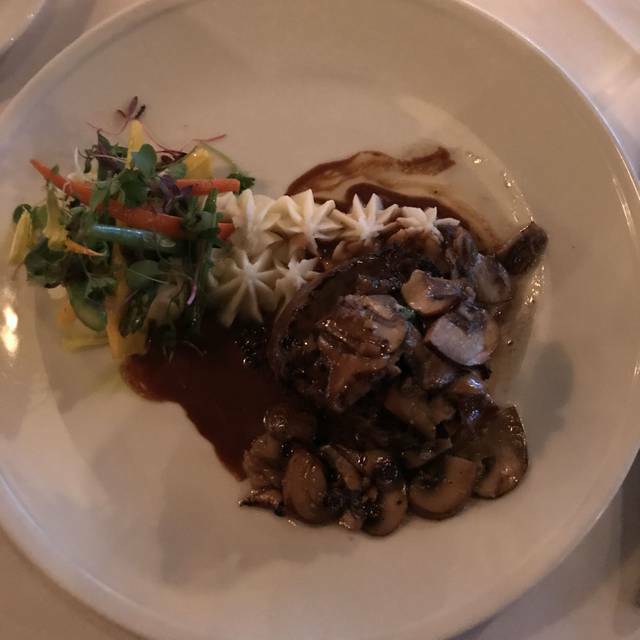 Great food, outstanding service, and an overall pleasant evening of dining. Allways a pleasure to visit and dine there when at Denver. A very classic French meal - the coq au vin was really delicious! Fine restaurant...good service...very good wine selection...on a busy corner which makes it much more interesting. We had a lovely dinner, sharing lobster ravioli and the filet of sole. Cheese plate appetizer was the perfect pre-meal to go with our drinks! Best brussel sprouts we both had ever had. Café Marmotte is a local dining experience that has the ambiance where you are yelling above the music playing. Other than the folks dining there that are loud it is a very quite and enjoyable space. No pressure to order and the attention is the right amount to make sure that all of your needs are met. The food is consistently good though the menu is getting a little stale if you been there more a couple of times. Staff is friendly. We were greeted and sat at our table. It took the waiter quite a bit if time bring drinks for brunch. Two servers and one busboy no bartender handling 7-8 tables. 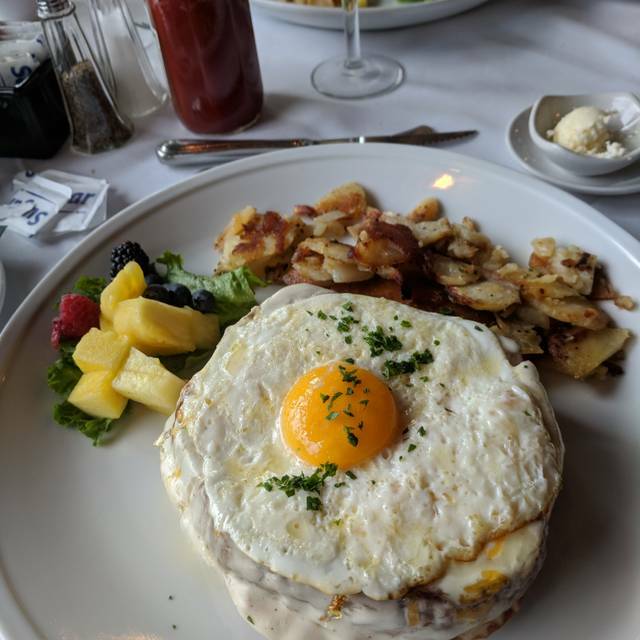 Food came out, one would expect perfect eggs Benedict from a French restaurant but the hollandaise was thick, the English muffins dry. Waffle was excellent as were the potatoes. Croissant were under baked. Love this restaurant for dinner, but would not come back for French. Restaurant only serves whole milk, no dairy substitute. What a friendly, delicious spot, especially the molten chocolate cake for my wife's birthday. Our salmon dishes were perfect, and I wish I knew where they get their bread. A place that's great for special occasions but also for a good night out. Had a wonderful and delicious experience! We’ll go back! Meh. First table we were seated at, there was the glare of headlights from the downing and Alameda intersection. Moved to a table to enjoy the glare of the Sinclair station across the street. Food was good but not amazing. Wine list was overpriced. Would have ordered the Jordan cab but it was nearly twice the price we paid at The Fort. Went there for our anniversary. Not a special occasion place. Much prefer La Merise for French in the neighborhood. Sunday brunch is a busy time to visit; however, the service was very good and the atmosphere is nice. It is a small restaurant but comfortable. I would recommend it. Top quality ingredients used! 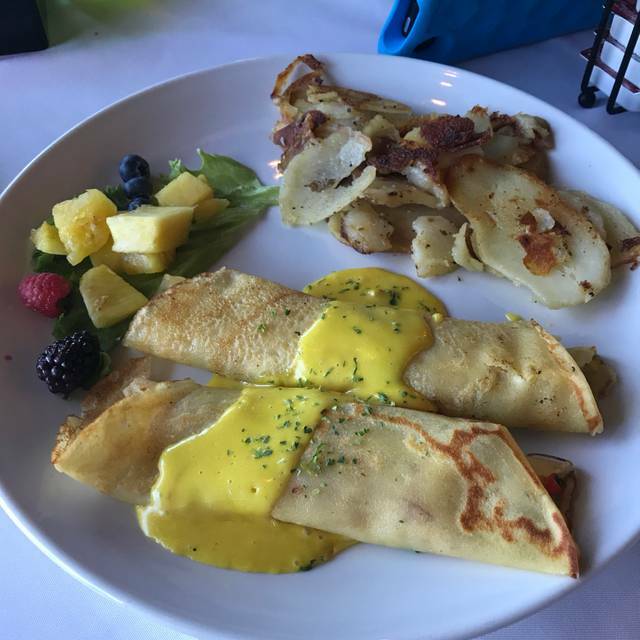 Love their crab omelette and waffles with creme and berries! 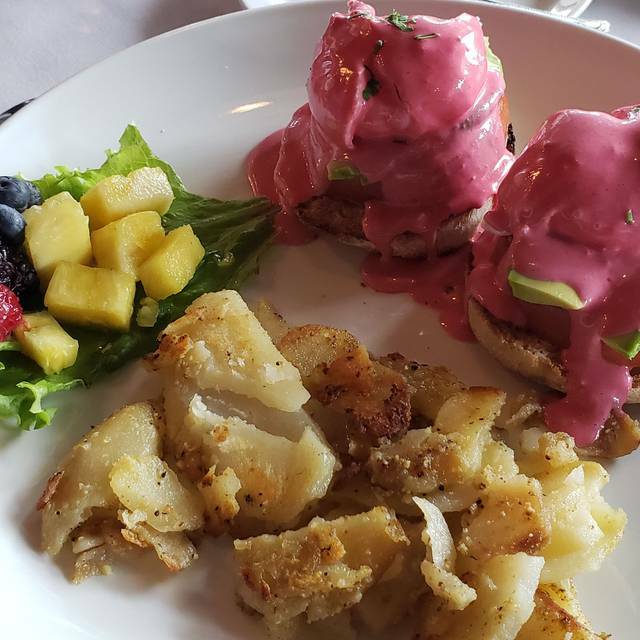 Excellent place near Cherry Creek and Wash Park for brunch on Sunday. When you have a 7:15 reservation but you aren't seated until 8:15 its hard to find a positive. Cafe Marmotte is a jewel. We have eaten there regularly since they opened and the Cafe simply gets better and better. Even in a very busy Saturday night with every table filled the service was perfect and the food superb. I can’t think of a thing to criticize. We met friends and had a beautiful and brilliantly prepared and served meal. The goat cheese and onion tart was brilliant. The lobster thermidor special was delicious and the hot chocolate cake that my wife and I shared was a chocolate lovers fantasy. A wonderful evening. And the Valet parking on a slippery cold night was great. Bravo!!!! Great spot. The service, food, atmosphere and valet were excellent. Would recommend it for dates, kid free nights or treat yourself. Wonderful cute French bistro! Would pick this every night for date night!! Love this restaurant! Everything about our evening was exceptional. Couldn't ask for a more memorable anniversary celebration. Very nice French restaurant without being too formal. We love to meet here for Sunday brunch! We enjoyed cranberry mimosas, coffee & latte to start. My daughter had their French toast with a side of bacon which was perfectly cooked. I love their French omelette with Gruyere cheese & spinach. My husband had the duck breast salad and ate it all! A special treat are the warm, buttery & flaky croissants that come complimentary with brunch! YUM! Service was slow and food was just ok. For a meal costing around $100 per person I expect the food to be prepared correctly. The steak was medium rare opposed to medium and the scallops were slightly undercooked. The heirloom tomato salad tasted bland like it was sitting pre mixed and not freshly prepared and the lava cake tasted store bought. The bread was excellent but we sat for 20 minutes before getting it and the coffee was solid. Based on this meal, I would not recommend this resteraunt as there are many other excellent choices at this price point. We had dined there on two previous occasions and had good experiences. However, an inattentive and mistake-prone waiter along with poor food ruined this evening. From not offering drinks before ordering, to bringing the incorrect soup (and not bringing the correct one for about 15-20 minutes), to bringing well-done lamb instead of medium, the waiter was either over-worked or inattentive (I think the latter). Sorry, I would not recommend to anyone and will not return. Phenomenal atmosphere with delishious food and wine selection. Service most kind and relaxing. The food is amazing, totally worth the money. All if it was prepared like traditional French cuisine. It has not disappointed yet!